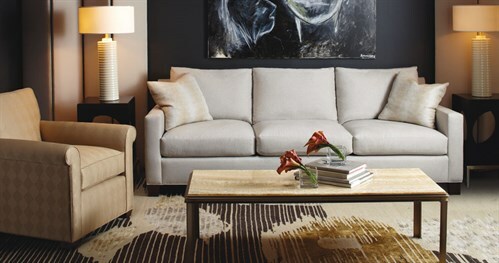 Baker Elements offers you the opportunity to create your ideal sofa, sectional, loveseat or chair. Our classic patterns are easy to understand and the options are generous. Simply make five choices — silhouette and depth, arm, back, base and leg — then choose a finish and fabric and watch your style take shape. Standard seat height for all depths is 19"
Contact your nearest Baker design associate to review your selections and finalize fabric and finish options.